In the begining of 2009 we decided that we were ready to try Stem Cell Therapy with Makenzie in hopes that it would speed up her recovery. After much research between the differences between embryonic and umbilical stem cells, and many different protocols we decided to take Makenzie to International Cell Medicine in Costa Rica (ICM). ICM uses donor umbilical cord stem cells. In older children and adults they also take stem cells from the patients own fat or bone. They inject the cells into either an IV catheter or into the spine. Depending on the diagnosis and age of the patient you can expect to travel to Costa Rica anywhere from 7 days to 4 weeks. The protocol of how the cells would be administered was determined by Makenzie's age and diagnosis. For Makenzie this meant that the Cells would be administered over 4 days through an IV catheter. It was recommended that we arrive in Costa Rica on Saturday because we would spend more then 5 hours in the air to get there. After a 12 hour trip door to door we arrived in the SJO airport. Makenzie's wheel chair was waiting for us the second we got off the plane with an airport attendant that would help us get through customs. After we cleared customs we made it to the baggage claim were a driver was holding a board with Makenzie's name written on it. What a relief that was!!! The driver helped us load all of our stuff in the van and we headed out to our hotel. Everything was so smooth and ICM was off to a good start in the first impression department! 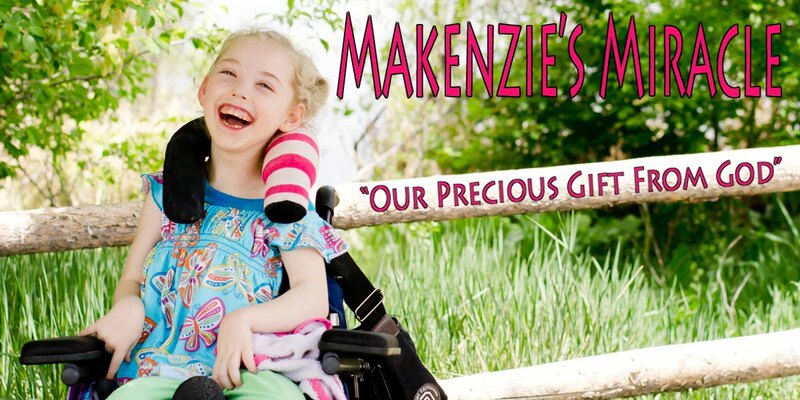 Makenzie's treatment began on Monday with an appointment with the doctor at the ICM clinic. He answered all of our questions and really spent a good amount of time talking with us. WE then heading to a private hospital about 15 min away to have the IV catheter placed under general anesthesia, in Makenzie's leg.... the veins in her arms were not big enough. They did all of the admitting paperwork which was a bit tedious as there English wasn't the best. The doctor came in a helped me talk to the anesthesiologist and then Makenzie was taken into the OR. 30 min later I was told she was done and escorted to me SCREAMING baby girl. She was so upset, but she was done and now we had a way to get the Stem cells into her body! YEAH! Tues she got her first injection of Donated, umbilical cord stem cells. She received the same injection on weds, Thurs, and Friday, as well. She got 2 different types of cells totaling about 10 million cells each day. The cells were injected into the IV over about 10 mins. The first ones are mesenchymal stem cells which are stem cells that are able to differentiate​te into any type of cell the body needs. These can create new tissue to regenerate in the damaged areas of the brain. The second ones are CD34 cells - these help increase the blood flow to the brain to help the mesenchymal cells get to where they need to be. The IV was then then wrapped back up and we returned back to the hotel for some R@R and a bit of adventuring out and about in San Jose, Costa Rica! On Friday after her injection the IV catheter was removed and we were cleared to go home! We left San Jose early Saturday morning and returned home about 6pm... SAFE and SOUND!! For more information including links to my journal,the ICM clinic link, update reports and other stem cell kids please click here. Here is a list of sites and links that explain some of what it takes to care for my special needs. Please contact my mommy at makenziesmiracle@comcast.net with any questions or for more information.